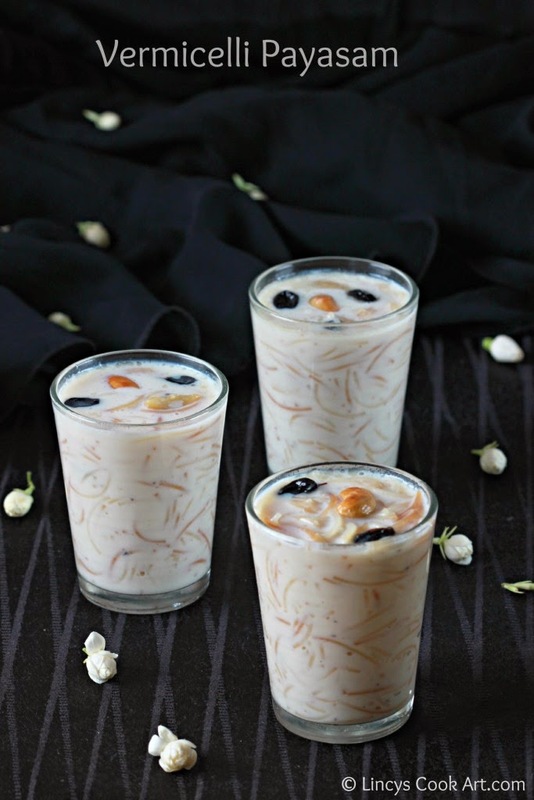 Vermicelli or Semiya Payasam is a popular South Indian Dessert. 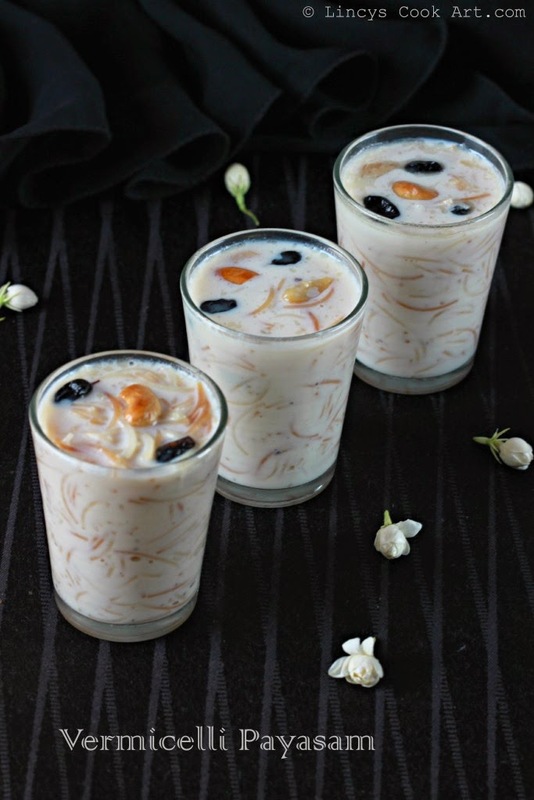 Easy to prepare tasty payasam can be made in minutes without much effort. 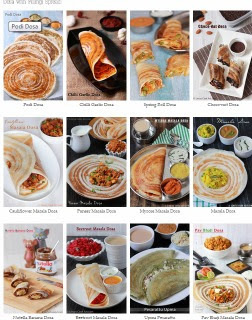 Perfect for all South Indian occasions like festivals, weddings..etc. Kids to love this yummy dessert. Easy to make payasm prepared with the ingredients generally available in our pantry. It is a delicious payasam can be prepared and served for any unexpected guest arrival in no time. You can prepare this payasam more tasty with the addition of condensed milk if you like (reduce the sugar accordingly) and if you like you can add saffron strands for colour. In a pan dry roast the vermicelli till golden colour. In a deep pan add the roasted vermicelli, a cup of fresh or boiled milk along with a cup of water. Bring it to boil, when the vermicelli almost cooked add the sugar and mix well till dissolved. Add the remaining one cup of cows milk (preferably boiled) and a cup of coconut milk and mix well. Immediately add the crushed cardamom pods and mix well. Bring it to boil and switch off the gas. Do not cook long time after adding last lot of milk. Heat ghee in a pan and add the cashewnuts and roast till it starts to get golden colour; immediately add the raisins with that and allow to fry them till it becomes puffy. Transfer the fried cashews and raisins together with ghee on top of payasam and mix well. Rich and creamy payasam. all time favorite. Very delightful payasam,who will say no to it.